Ever wonder how coffee is made? I never had. Probably because I don’t drink coffee. 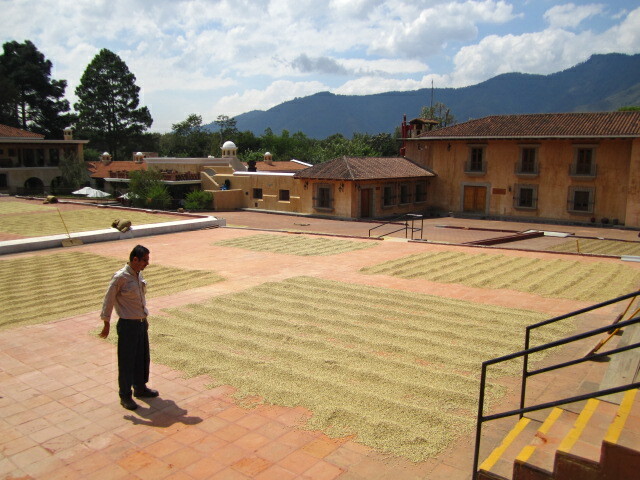 But coffee is Guatemala’s principal export and therefore a major part of the economy. 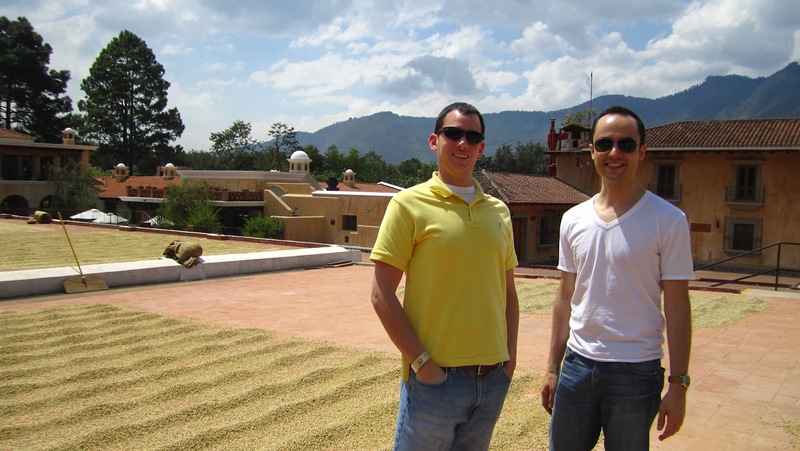 As part of our visit to Antigua, we toured Finca Filadelfia, a coffee plantation just outside of the town, and learned a lot more about what it takes to create that aromatic brown drink. 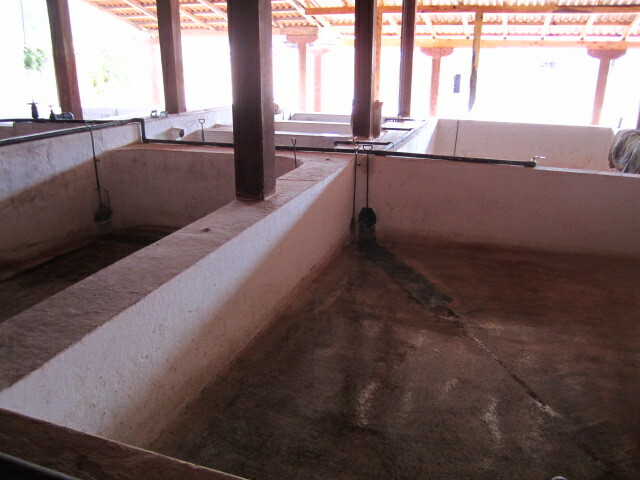 The first step involves grafting. 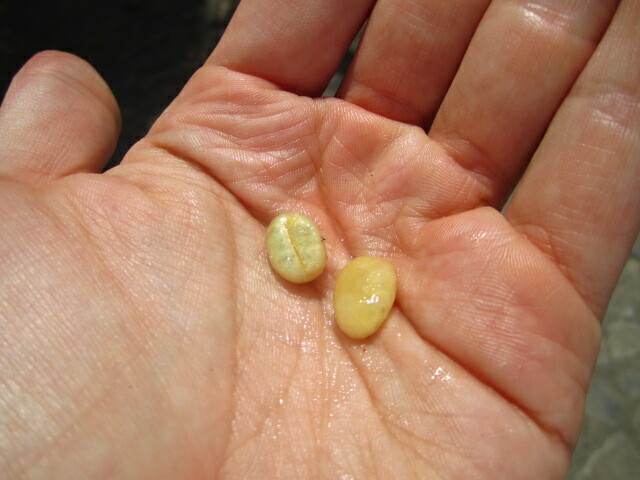 The Arabica coffee plant produces high quality beans that are used in gourmet coffees, but it is a more fragile plant and harder to cultivate successfully. 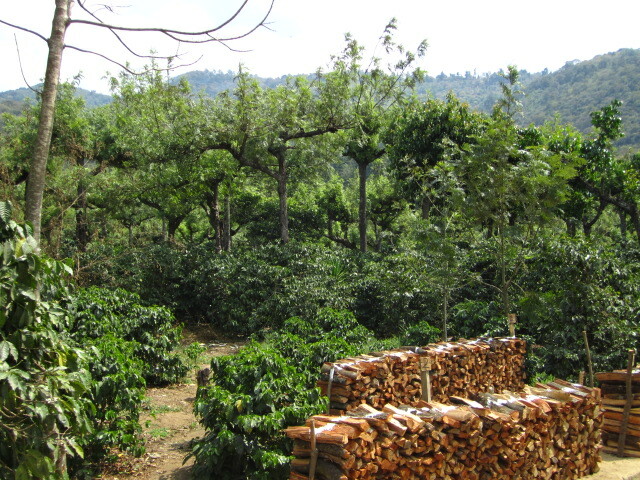 The Robusto coffee plant gives lower quality beans that are used in mass-produced ground coffees, and (as implied by the name) is a robust, hardy plant. 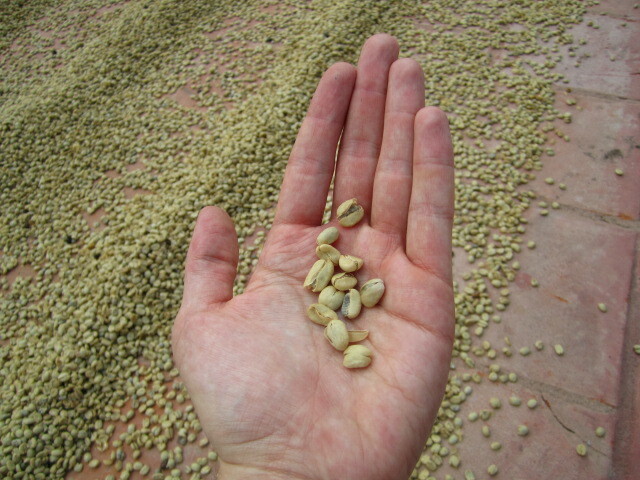 So the plantation grafts its Arabica seedlines onto the Robusto roots to get the best of both worlds. 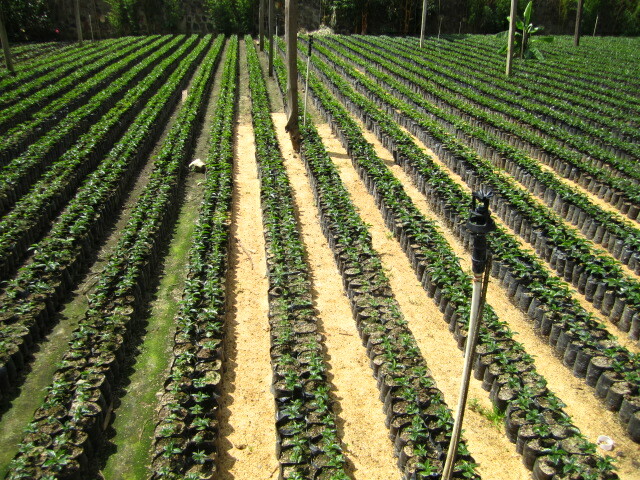 Even with the Robusto roots, the Arabica bushes are still fairly delicate — they need to be shaded from the direct sun. So taller trees are planted amongst the bushes to provide shade. The type of tree used (the name of which I have forgotten) has the added advantage of being very popular among birds that eat the insects that damage the coffee plants. 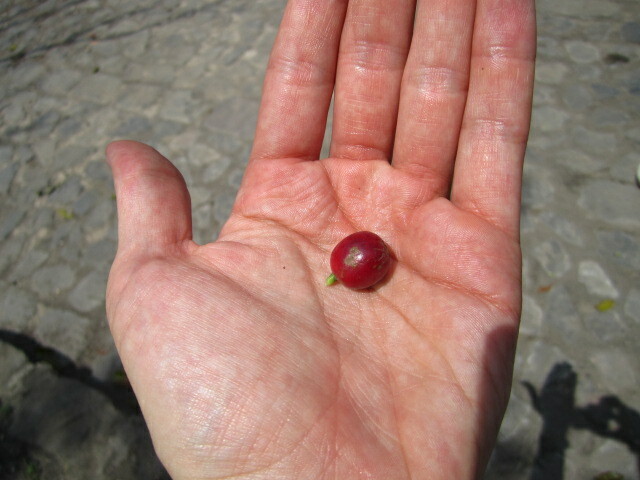 ﻿﻿The coffee beans grow in little fruits that look like cranberries. They form in clumps along the branches and turn red as they ripen. 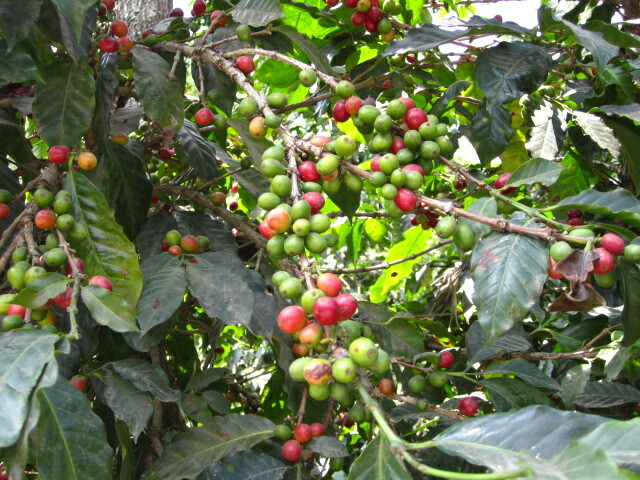 Strangely, the Arabica berries ripen at all different times, so at any given moment you can have flowers, green berries, and ripe ones all on the same branch. Makes for a tedious and prolonged harvesting process because each berry has to be picked one at a time, by hand, and each bush has to be harvested multiple times to get all the berries. If you pull away the red fruit, you find a slimy little kernel that looks more like what you’d expect a coffee bean to look like. 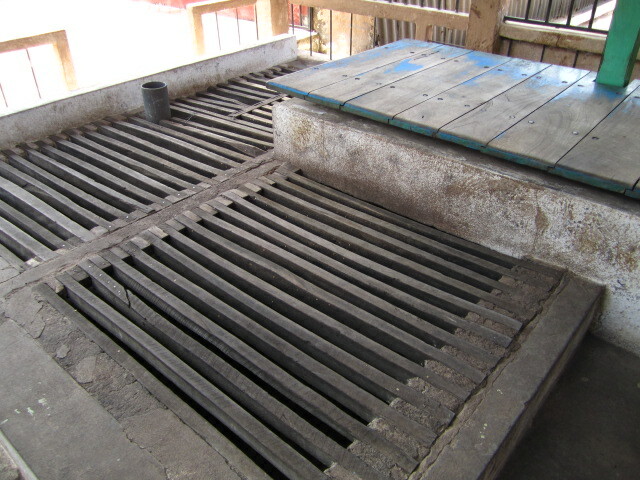 Once harvested, the beans are brought back to be weighed and sorted, soaked, sun dried, run through machines to get rid of the husks, roasted, and then packaged for sale. 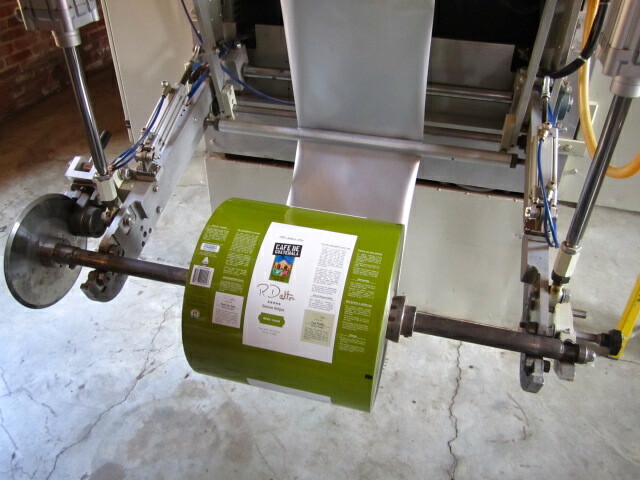 It’s a very labor-intensive process that seemed surprisingly non-mechanized to me. Given the many steps between taking the ripe berry and producing an actual cup of coffee, I’m amazed that anyone figured it out in the first place.